Nourished skin looks and feels beautiful, and when it comes to nourishment, nothing compares to the power of coconut oil to increase hydration and softness. 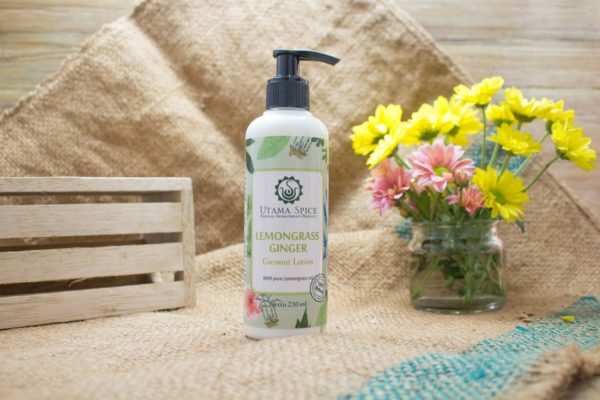 The detoxifying properties of lemongrass evens out skin tone, while the antioxidant properties of ginger warm the skin and regenerate cells. Say goodbye to dry, parched skin and hello to a new level of beauty. Quickly absorbed to hydrate the skin, moisturization is long-lasting with no greasy feel. Use in the morning to warm the senses and cool the skin for all-day freshness.